AS A NATIVE MIDWESTERNER, I passed the first decade or so of my life in a region that just about defined “flat.” Growing up, my idea of high altitude travel was the elevator ride to the top of the Sears Tower. Three-quarters of travelers who visit high-altitude locales, whether as climbers or tourists, will experience some of the same symptoms I did. 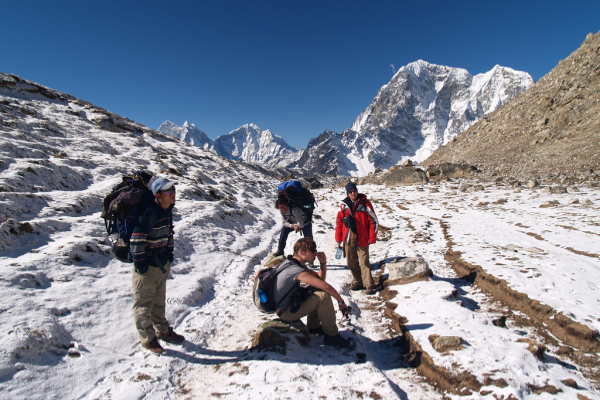 If not handled properly, the most severe forms of altitude sickness can lead to permanent damage or death. Being familiar with the symptoms and treatments for altitude sickness will make any trip to high altitudes a lot safer, and definitely more enjoyable. Altitude sickness is a barometric illness – it stems from changes in atmospheric pressure. Symptoms can occur at altitudes as low as 8,000 feet, but serious problems usually begin at 12,000 feet. Everyone with altitude sickness presents differently, but there are a few symptoms that are pretty much universal. The first definite symptom of altitude sickness is fatigue. Affected persons may complain of shortness of breath, or they may sleep more than normal. After flying to the Himalayan city of Ladakh in northern India, I found myself doing just this, sleeping 12 or more hours a day. The next common symptom is nausea, varying from slight indigestion or dizziness to severe vomiting. This is often accompanied by a loss of appetite. As the sickness becomes more severe, so do the symptoms. Victims of moderate to severe altitude sickness may complain of difficulty breathing or a feeling of tightness in their chests. Despite feeling exhausted, they may have trouble falling and staying asleep. A definite symptom of serious altitude sickness is a decrease in coordination, or ataxia. The easiest way to test for ataxia is to ask the victim to walk a straight line, heel-to-toe, or perform a task that requires dexterity, such as tying a knot. If a person is unable to perform these tasks, it’s essential to get him or her to a lower altitude as quickly as possible. Without prompt treatment, the victim may soon be unable to walk unassisted, which makes getting off the mountain significantly trickier and more dangerous. One of the “pluses” about altitude sickness is that it’s a fairly well-known illness. People have been dealing with it as long as they’ve been climbing mountains. What that means is that travelers at altitude have a full arsenal of remedies. If you only take one step to prevent altitude sickness, this should be it. The rate of ascent is the single most important factor in deciding who gets sick and who doesn’t. Avoid climbing more than 1,000 feet per day and drink lots of water. When traveling from low to high altitude, opt to drive rather than fly – the longer trip will give your body time to acclimate. If you must fly, spend at least 24 hours being completely lazy – sleep plenty and don’t do any strenuous activity. The most time-honored tradition for altitude sickness: get off the damn mountain. All but the most severe symptoms of altitude sickness will resolve all by themselves after descending from altitude. Mountaineers tackling high peaks should ideally follow the “climb high, sleep low” rule, as bedtime is when breathing difficulties and many other symptoms are at their worst. Many travelers heading to altitude take Diamox (Acetazolamide), a medication that boosts respiratory function by pushing the kidneys to excrete bicarbonate, a form of carbon dioxide. As a prophylactic, it can help prevent some of the most dangerous symptoms of altitude sickness. Like any medication, however, it should only be taken in consultation with a physician. 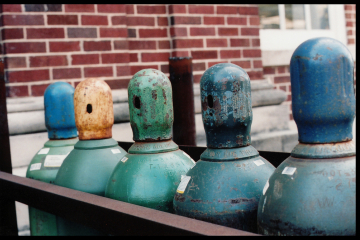 While oxygen bottles won’t necessarily prevent pulmonary or cerebral edema, they can go a long way toward relieving nausea and fatigue. Some hotels in cities such as Cuzco keep oxygen bottles and masks to treat severe cases. 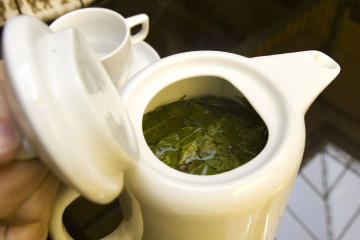 To help prevent symptoms of “soroche”, the local name for the sickness, residents of Peru swear by coca mate, an infusion made from the leaves of the coca plant. While it’s not legal nor widely available in the United States, it’s worth a try if you’re heading to the region. Had an experience dealing with altitude sickness? Tell us your stories and personal remedies in the comments.